Adv Satish Sonak, Goa’s leading social activist and firebrand student leader of ‘80s, died of sudden heart failure today morning. Adv Sonak collapsed in the court of Panaji while he was attending a case. He was rushed to the GMC hospital but could not be revived. His funeral will leave from his St Inez house on Saturday, 8th April at 10 am. As he wished, his eyes were donated immediately. He is survived by his mother Dr Vibhavari, wife and Goa’s eminent artist Harshada Kerkar, brother Justice Mahesh Sonak and sister Sushma Sonak. Adv Sonak has been in various social movements from student days and was the leader of the All Goa Students’ Union that led state-wide agitations over issues like 50 per cent bus concession, marks scandal, capitation college etc. He was the President of Goa Peoples’ Forum, which was formed a decade ago by former students’ activists of various students’ organisations of yesteryears to take up social issues. Adv Sonak practiced law not only as a professional lawyer but fought several cases for the downtrodden and helpless people, free of cost. 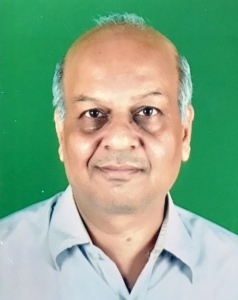 He was the most frequent lawyer before the Goa Human Rights Commission right from its inception and had sought justice in several cases for human rights. The most recent ones were public crematoriums for all faiths as well as for the non-believers and for the basic living rights of Vanarmare community, whose huts were demolished by the people of Nirankal-Behtoda. He had filed his last petition before the Commission, seeking justice for the Lamani vendors against whom the Goa Government has started a drive to whisk them away from the beaches. He had also immensely contributed to the Right to Information Movement as well as the movement of India Against Corruption led by Anna Hazare. Known to be a sentimental person to the core, Adv Sonak was also working consistently among the special children, through an organisation Anam Prem as well as among the transgenders. Working as a one-person brigade, Adv Sonak was also exposing several misdeeds in the society and injustice meted out to the toiling masses through his newspaper writings. He was equally vociferous in fighting the menace of casinos that has now financially started ruling the state of Goa. Satish Sonak was a truly remarkable gentleman who cared about his fellow human beings, championing the causes particularly of the less privileged and disadvantaged strata of society around him, willing to stand up and dared to be counted where others feared to venture. A true friend and companion of the poor and voiceless. Right from his student's days Satish Sonak was an avid reader and fiery orator, whether in English, Konkani or Marathi. He also contributed thought provoking articles to several newspapers and, in recent times, interviewed on television several eminent personalities in various fields of public life. Indeed he demonstrated fabulous skills of interviewing -- limiting himself to a minimum of verbiage and​ bringing forth from the interviewee the full range of his thoughts and experience. That showed us, the readers and viewers, Satish Sonak’s intellectual accumen. Doing justice to his profession as a lawyer he became one of the foremost human rights warriors, taking up many causes such as the rights of women and children, marginalized tribes, the physically and mentally disadvantaged, anti-corruption and the rights of the common man. During the 1979 student agitation for 50% bus concession I was very proud to work alongside him. His last battle was to take up cudgels to seek justice for the Lamanis on Goa’s beaches who the government is determined to wipe off the map of Goa. Even in death, his donation was the gift of his precious eyesight to another human being. Satish Sonak was indeed an inspiration to all and particularly the youth of Goa who are the only hope for our sinking State. Over the years Satish Sonak did everything possible for Goa. He was strongly opposed to corruption and the menacing culture of Casinos engulfing the State. Goa's greed-infected political class should introspect and reflect as to the manner in which they have continued the rank and blatant degradation of Goa, something that Satish Sonak was always very concerned and extremely disturbed about. Satish Sonak must have been very distressed over the sordid political developments in the State over the last month with Goa corruptly, unethically and immorally bending backwards instead of marching Forward. Satish Sonak led a very simple and humble life. He may have been one of the few established Advocates in Goa who never owned a four wheeler. After leading a very modest and humble life, his final rites were also very unique devoid of all those age old rituals and established protocol. The great man that he was, Satish Sonak got an Aam Aadmi's final farewell, he very much and rightly deserved. Our true tribute to this great and distinguished departed soul, would be to steadfastly carry on that great vision and mission that our Satish Sonak had embarked on. Let us all vow to carry on the unfinished task Satish Sonak had undertaken to Save what remains of Goa. We will all one day depart this world, but our Goa must truly live sans all this lip sympathy and rhetoric talk of Goem, Goenkar and Goenkarponn. And that would be living up to the hopes and aspiration of our great warrior Satish Sonak who a true Goenkar he always was. Goans will remember you for all the time to come for the Generosity of the Heart of Departed Soul. LOLA Suman B: Goa’s young gift to the world of fashion!